Your customers want to be in, out, and on their way. Without quality fuel management systems in Texas, they may quickly take their cars to the station down the street. Instead of letting drivers slip away, turn to the professionals at Rykin Pump Company. The way people pump gas has changed a lot since we started our business in 1970. We have always stayed ahead in the industry by ensuring our customers get the technology they want. Our professionals are happy to work with you to help you decide what your station needs based on its current equipment, its size, and your budget. You work with dangerous materials, so you need someone who understands all the necessary safety precautions that come along with the job. When you choose us to improve your gas station system, you get the ultimate peace of mind. Our technicians are factory-trained, which means that we understand the intricacies of the different types of machines you have. Throughout the past 47 years, we have risen to be an industry leader in the sales and service of equipment for convenience stores and service stations. During that time, we have maintained our place by offering our customers excellent service and an advanced product line. We not only stock new products but also re-manufactured parts, allowing you to update your system without going over your budget. To make everything as convenient as possible, our parts can be picked up at our location or shipped directly to you. If you need help installing the part, we also offer on-site services. 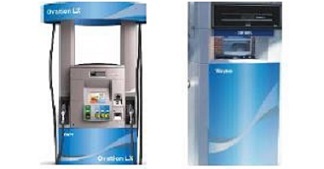 So let us know what you need to improve your gas station system. Contact us today to learn more about our gas station service company. We proudly serve clients in and around Odessa, Texas, West Texas and Eastern New Mexico.